Words by Kevin Doocey on March 8, 2011 . Any time he has come on the pitch he has upped the tempo. His strength, height, ability in the air and his quick feet have caused problems for Liverpool, Arsenal, Chelsea and many other teams this season. He is 19 years of age, 6 feet 2 inches in height and has the potential to a Premier League class striker if not more. 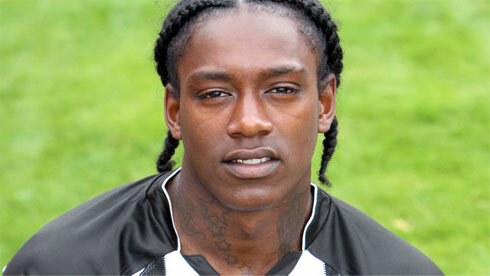 Nile Ranger’s attitude however is something that has caused problems in the past and continues to do so on a smaller level in 2011. Alan Pardew has given more than a couple interviews on Ranger and none of them have been too complimentary. The overriding factor seems to be a lazy attitude that is attributed to the former Southampton player; something that needs a lot of work in the eyes of the Newcastle United manager. I have read these interviews and at this stage; I’m a little worried. It seems as if after signing a lengthy deal at Newcastle United not so long ago, Ranger has taken an easy time on the training ground and in his general preparation for matches. According to Pardew, Ranger arrives just at the start of training and doesn’t show a determination to be out on the pitch warming up prior to the actual training. Either he has a serious love for sleep (like me) or he is just plain lazy; either way he is not overwhelming our gaffer! The thing that worries me is the fact that he has unbelievable potential as a striker. I don’t say things about young players very often but he really has a huge future in front of him if he can cop onto himself and act to the same level as his wages. He is living an easy life, constantly enjoying the finest things available, seemingly getting a new tattoo every week: something that NUFC are paying for. If he had the attitude of a young Chicharito Hernandez then he would be a stunning player. I think I speak for everyone when I say we hope he can mature and be grateful for the job he has because we as Newcastle United fans want him to play his finest football at St.James’ Park week in week out. However, will that happen? Will he get on the wrong side of Pardew once more and be flogged to another Premier League team or indeed an upcoming Championship side? I hope not but as I’ve said already, Pardew’s interviews are not too encouraging by any stretch of the imagination. “We see him day-in and day-out, and I said from day one he needs to sort himself out as a professional footballer. “He’s always on the cusp of being late – we’ve stopped him from being late but he’s always on the cusp. “We’ve only improved him five per cent on that factor. That’s an interesting comment highlighted in bold; do some players not get on with Ranger or perhaps disapprove of his mentality? It certainly doesn’t show when he comes onto the field for the last twenty minutes of most games, although its an interesting quote from Alan Pardew. “At the moment the other players are looking at him and thinking ‘You’re a young boy, you need to learn’. And he does. And that is reflected in his game. “I’m confident that Nile going to be a player. We’re glad Pardew realises this and we certainly hope that Nile can buck up his ideas or the unfortunate reality is; he won’t be a Newcastle United player for much longer and this isn’t an opportunity that too many people would pass up on..
Change the title to Let's hope Alan Pardew doesn't ruin Nile's future at Newcastle United with this constant public criticism. Mentor the boy, bring him on, don't continually shame and blame in the public domain, nothing will ensure a lack of progression more than the current course. he got shipped out of Southampton due to hanging around with a load of wannabee gangsters who liked to mug women.